Welcome to the OTHS STEM Leaders Diploma webpage. Here you will find announcements, upcoming STEM seminars, and opportunities with the STEM Leaders Diploma Program. Students interested in earning the STEM Leaders Diploma should contact Brenda Gardner at brenda.gardner@rsu34.org. 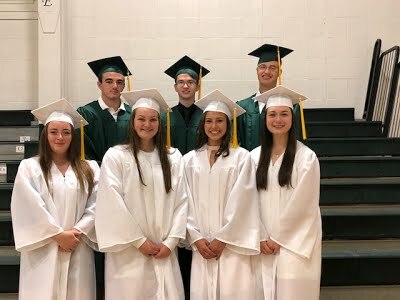 Congratulations to the Class of 2018 STEM Diploma graduates! Read more about OTHS STEM Leaders Diploma and How it all started!